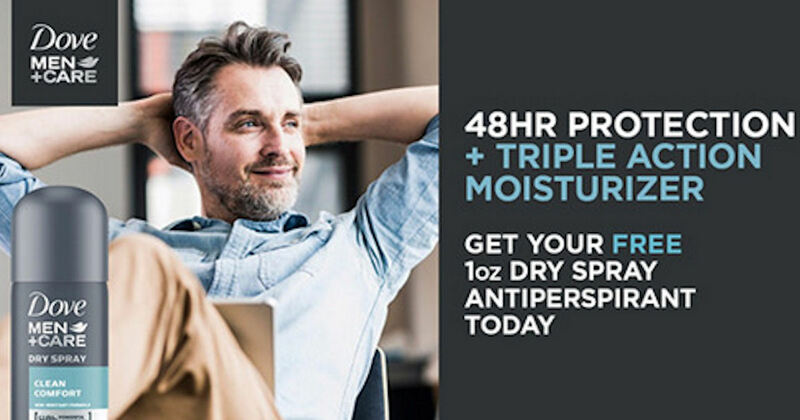 Get a free sample of Dove Men+Care Clean Comfort Dry Spray! Scroll down to the free sample offer, click the 'Sign Up' button on their Facebook post and fill in the pop-up form for your free Dove Dry Spray sample! May not be available on all accounts. May not be mobile friendly.